It is becoming clear that the era of pro-European and pro-reformist consensus has given way to “post-Europeanist” blues. As the European Union welcomes two newcomers, the Central European political doldrums are “reinforcing doubts about the readiness of new member states and the candidate countries, Romania and Bulgaria, for EU membership”. (1) Though simplified, the consensus that the region of Central Europe is experiencing a period of reform setback fully justifies fears of further EU enlargement. In this study, I will identify some of the key characteristics of the current political turmoil in Central Europe. In so doing, I will try to demonstrate that there is sufficient reason for concern that any new post-communist EU members will undergo a similar trial after their accession to the Union. If, as Ralf Dahrendorf puts it, every revolution is doomed to fail, the change of political climate in Central Europe might indicate that the recovery of psychologically flawed societies, repressed under communism, takes longer than expected. On this view, admission of unprepared post-communist states to the EU could potentially lead to disenchantment that serves as a catalyst for political crises. First general elections in Central Europe after EU entry have created a new political order. They empowered political elites that have simultaneously stirred up illiberal sentiments to an extent unprecedented in the post-1989 era. Bitter anti-communism (Poland, Hungary, Czech Republic), alleged plots of internal and external enemies (Poland, Slovakia) and political intolerance (all V4 countries) have been poisoning politics in a way that could prove itself harmful to the post-enlargement transformation process. The anti-liberal momentum in politics has already revitalized ethnic tension in Slovakia and Hungary and strengthened conservative Catholicism in Poland, where debate reopened on abortions, death penalty and planned anti-corruption bureaus, reminiscent of political police. All of this marks a turn to domestic politics which comes as a backlash of sudden fatigue after EU integration. The primacy of foreign policy, vivid prior to EU entry, has clearly yielded to introspection. Thus, after a decade of pro-European governments, Central Europeans voted for defenders of national interests. Nationalism and euro-skepticism have returned to mainstream politics, becoming, in many cases, the new political prism. Poland’s premier Jaroslaw Kaczynski of the Law and Justice (PiS) party, siding with anti-European Self-Defense, commonly employs tough rhetoric against Russia, Germany and the EU. In Slovakia, the cabinet of Robert Fico, relying on two nationalist fringe parties (2), has forced the treatment of the country’s Hungarian minority back to the headlines. In the Czech Republic, nationalism, albeit in a watered-down form, survives in the sole agenda of the two strongest parties – either as rightist euro-skepticism or leftist anti-German sentiment. In recent months, this chain reaction of nationalisms has already begun to culminate in Poland and Hungary, whose capitals were smitten with mass demonstrations against the countries’ governments. Yet, perhaps the most worrying aspect of this emerging political trend is the call for a new “revolution” in Central Europe. Led by French Central Europe expert Jacques Rupnik, analysts have begun to warn of a “tainted conception of democracy” in the region (3). The deals struck between moderate dissidents and moderate communists, which guaranteed velvet transitions to democracy in 1989 (4), are being portrayed as “unfinished revolutions”. Thus, in Poland, the Kaczynski brothers seek to purge the country from communism and corruption by establishing a “Fourth Republic”. Similar, but less radical stances have also become popular in Hungary and the Czech Republic. In Hungary, Viktor Orban, chairman of the right-wing FIDESZ party, has called for de-communization at the recent anniversary of the 1956 anti-communist uprising. Czech anti-communism, whipped up during the election campaign, has arguably inhibited successful settlement of the ongoing political deadlock in the lower chamber of parliament (5). Nevertheless, it is important to note that the Czech case differs by nature as the country still has a relatively strong Communist Party (6). Overall, the revisionist, and, in a way, moralist struggle against “communist infiltration” raises concerns about a possible weakening of the main pillar of Central European democracy – namely, the compromise upon which it was built. The crisis in Central Europe follows the collapse of liberal political elites, which wove the countries of the region into the EU framework. The era commonly associated with moderate and pro-European leaders, such as Prime Ministers Lezsek Miller (Poland), Mikulas Dzurinda (Slovakia), Peter Medgyessy (Hungary) and Vladimir Spidla (Czech Republic), seems to have come to a close. In the last decade, EU entry was the universal attracting pole in Central Europe. Leading economists, journalists and intellectuals rallied behind reformist politicians in the name of smooth transformation and integration. This helped win over the public and created a quite extraordinary atmosphere of consensus, which ruled out euro-skeptic or nationalist opposition. Yet, once the V4 countries joined the legal architecture of “civilized Europe”, pro-European politicians were stripped of the main argument that provided them with backing prior to 2004 – the promise of EU entry. As economic hardship, social problems and pressure for further reform(7) began to overshadow the political gain of EU membership, the hither-to broad consensus receded, which culminated in the downfall of reformist politicians who could no longer justify their policies to frustrated voters. Along with the step-down of pro-European elites went the concept of politics they represented: namely, devotion to reform regardless of political affiliation. The pre-accession constraint from the side of the EU contributed to the replacement of the cleavage between the left and right by one that pitted pro-Europeans (social democrats, liberals and the centre-right) against anti-Europeans (nationalists and populists) (8). Thus, even though coalitions rotated, pro-European governments of the last decade all pursued variants of the same policy. The best example is probably Poland, where four pro-European cabinets, two of them right-wing and two of them left-wing, ruled in 1997-2005. Once the V4 countries landed safely in the EU, the need to reach agreement within the pro-European camp withered. In this sense, pro-European forces precipitated their fall as they failed to preserve consensus in their own ranks. The gulf between coalition partners started growing as new divides came under way, and – without a unifying goal like EU entry – it became hard to find an agreed-upon bridging mechanism. Political scientists argue that not even prospective accession to the eurozone could motivate pro-European politicians to preserve consensus as economic issues only highlighted the cleavage between liberals and social democrats. Deteriorating relations between former allies in reform proved harmful, namely in the Czech Republic(9) and Slovakia(10), where pro-European elites estranged from each other to an extent that they were unable to cooperate even in the face of deadlock and a populist threat. The retreat of pro-European politicians has revealed the underdeveloped culture of compromise in Central Europe. It increasingly appears that the atmosphere of consent that has tempered domestic politics in the Czech Republic, Slovakia, and, most importantly, Poland, has been replaced by an all-out battle in which opponents are seen as enemies to be destroyed rather than rivals to be respected, or at least tolerated. (11) The region has been rocked by heated election campaigns, during which the strongest parties attacked one another in a way that has closed doors to post-election cooperation. As a result, internationally acceptable grand coalitions gave way to coalitions with xenophobic radicals in Poland and Slovakia and a 4-month deadlock in the Czech Republic. (12) The only exception to this trend seems to be Hungary. The rebuff of grand coalitions across Central Europe hints that politicians have chosen to highlight growing anxieties of their voters rather than to soothe them by reconciliation similar to that in Germany or, still possibly, Austria. It remains unclear whether or not this change of course will take root. Successful rehabilitation and consolidation of social democratic forces in Central Europe will most probably prove to be a vital precondition to resolving the political doldrums in the region. In general, social democratic parties serve as stabilizing elements of the young and unstable party systems: they draw voters away from populists and command a high coalition potential, often posing as mediators. Right-wing movements in Central Europe (e.g., Hungarian FIDESZ, Czech ODS and Polish PiS) are openly euro-skeptic or even nationalist. For the sake of the political equilibrium it is key that they are offset by strong, pro-European socialist forces. At the moment, Czech, Polish and Hungarian social democrats are making steps to recover from political scandals and electoral defeat. (15) In Slovakia, the situation is more complicated as the long vacant social democratic space is now occupied by the populist Smer party. Still, the face and future of Central European social democratic politics remain unclear. 4. EU – Illusory Deterrent? Though often viewed in Central Europe as a deterrent against extremism, the EU does not in fact possess the necessary powers to bring about the needed political changes in its new member states. By emphasizing the economic to the detriment of the political, the enlargement process has made politics an area with which it is difficult to tamper. Since the V4 countries have officially fulfilled EU’s basic political criteria, democratic conditionality and rule of law, the EU has little space for more political pressure as it lacks the legal authority to interfere in its members’ internal affairs. To date, the EU has only used political coercion against a member state on one occasion, when it imposed informal sanctions on Austria in January 2000. However, this step proved counterproductive as the Austrians interpreted it as unauthorized intervention. The EU does command less formal means of political compulsion, but those have so far been failing to restrain Central European populists. 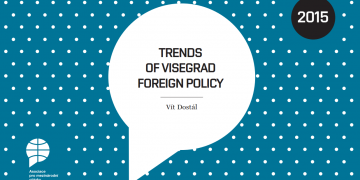 Due to the increasing prominence of domestic politics in all V4 countries, foreign affairs – and thus recommendations from abroad – have lost the prestige they enjoyed before EU entry. In the name of national interests, the V4 countries have proven themselves willing to shed their reputation abroad. 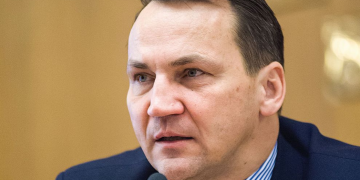 Populist parties – namely PiS in Poland and Smer in Slovakia – cooperate with far-right and far-left extremists, little concerned about being shunned by the international community. What little reaction there has been has gone mostly unnoticed. When Slovakia’s Smer was suspended from the Party of European Socialists (PES) because of its alliance with the xenophobic Slovak National Party, Smer officials ignored the decision, downplaying it as an overreaction. Moreover, it seems like Central European political leaders have gradually come to believe that the EU has lost the legitimacy to mentor them. In the early 1990s, Central European political, economic and intellectual elites sought inspiration in the Western prototype of parliamentary democracy in hopes of joining the EU. Yet, after post-1989 euphoria fizzled, Central Europeans came to understand that the Western model had flaws: weak confidence in democratic institutions, disillusionment in political parties, falling election turnout and populism. This “democratic fatigue”, a long-term trend in Western Europe, constitutes Western democratic normality and, in turn, discredits the EU in the eyes of many in its new member states. Many Central Europeans argue that the xenophobic League of Polish Families or Slovak National Party do not pose a greater threat to the Union’s stability than the extremist Italian Northern League or Flemmish Interest. To conclude, EU accession has been followed by a case of political doldrums in Central Europe, with the previous consensus of pro-European political and intellectual elites giving way to discord and disarray. As the EU proved virtually powerless to tame the new political leaders, Central Europeans let their hither-to good performance go with relative ease. It is not unreasonable to expect that other post-communist countries will experience similar sensations of “post-Europeanism” after future rounds of EU enlargement. Arguably, the prospect of EU membership for Romania, Bulgaria, the Western Balkans and even Ukraine and Georgia has helped keep these countries on the right track. Though sharing Central Europe’s communist legacy and willingness to reform, these countries have not mirrored the region’s successful political transformation. In the 1990s, they experienced renewed nationalism, authoritarianism and at times even violence. Thus it may be assumed that any consensus on democratic and economic reform is frailer in these countries than that achieved in Central Europe prior to EU accession. A sudden lack of pressure after EU entry, as well as the absence of a political role model, could harm democratic consolidation in a way that could prove more virulent than in Central Europe. As Romania and Bulgaria join the EU, there is a reason for concern that Central European post-accession blues might hit them as well. These two candidate countries have already been facing criticism for insufficient political preparedness: corruption, political instability, weak civic society and poor treatment of their large ethnic minorities. Moreover, both of them are ruled by fractious coalitions that have already been close to breakdown. With nationalist Greater Romania party and populist and Bulgarian xenophobic Ataka party in parliament, it is clear as well that the countries are susceptible to populism and nationalism. On the other hand, it is true that the EU now has stronger tools – namely the power to cut Bulgaria and Romania off from structural aid – enabling it to intervene if the new member states breach their commitments. Thus, it is yet to be determined if, and to what extent, EU accession precipitates an outburst of frustration that might cast a shadow on the countries’ successful integration. This article was published in the Central Europe Digest of the Center for European Policy Analysis on December 14, 2006 (cepa.ncpa.org). (2) Xenophobic Slovak National Party (SNS) and the Movement for Democratic Slovakia (HZDS) of former authoritarian premier Vladimir Meciar. (3) Petr Holub: 1989? Central Europe Calls For New Revolution. http://aktualne.centrum.cz/domaci/zdravi-skola-spolecnost/clanek.phtml?id=287122. (4) „Round tables“ were mostly significant in Poland and, to a lesser extent, in Hungary. Czechoslovak transition was more spontaneous. (5) The right-left ratio in Parliament is 100:100. Right-wing ODS has ccused left-wing CSSD of pro-Communist orientation, which has been in the way of a grand coalition. (6) KSCM, received 12.7 per cent in the last general elections. (7) Notably in the name of strict criteria for entry in the eurozone. (9) Former partners Social Democrats (CSSD) and Christian Democrats (KDU-CSL). KDU-CSL now refuses to cooperate with CSSD as the latter has formed a leftist block with the Communists (KSCM). (10) Former allies Slovak Christian Democratic Union (SDKU) and Christian Democratic Party (KDH). KDH did not join a center-right block after the last elections and thus ruined a chance of a center-right government. (11) Jan Cienski, Stefan Wagstyl: Twin Leaders Are Remaking Poland. Financial Times, August 30, 2006. (12) Slovak ruling social democrats have already been suspended from the Party of European Socialists due to the unacceptable alliance with far-right nationalists, yet they have dismissed criticism and refused to compromise their coalition partner. (13) In less than a year, the CSSD recovered, receiving 32.3 per cent of the vote and becoming the second strongest party. (14) The recent revelation of the fraud provoked demonstrations in Budapest. (15) General elections in Poland, local elections in Hungary, both general and local elections in the Czech Republic. Kristina Mikulová is Head of Development Cooperation Unit at Ministry of Finance of the Slovak Republic.